To what degree was Marx's philosophy influenced by his Lutheran faith? Not at all. Marx's family nominally converted because Germany wouldn't let Jewish scum take their jorbs. Man, he was racially ambiguous wasn't he? He doesn't even look Jewish. The fro is the giveaway. He was very dark, more than most Jews. People called him "Moor" and he was sometimes mistaken for Spanish while in Paris. But in terms of facial features he didn't look stereotypically Jewish. I almost feel bad that his work led to the deaths of untold millions. Probably would have bummed him out to know. You can only tell apart a Jew from a Gentle like 30% of the time. European Jews are more European than Middle Eastern, although Marx is one of the 30% who looks Mediterranean imo. Marx would definitely be confused by what happened to Marxism. 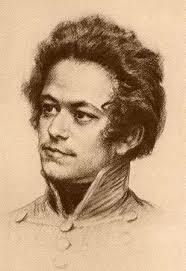 Remember that at the time of his death, the only major socialist experiment was the libertarian Paris Commune. Some of his final writing was about how a socialist revolution would probably never work in Russia. Russia is really hard to manage without authoritarianism. You gotta imagine what the world would be like if it wasn't the flag-standard of left-leaning nations in the 20th century.